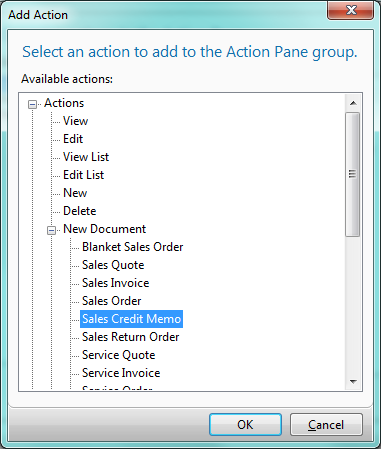 The Action Pane of the Role Tailored Client, introduced in Microsoft Dynamics NAV 2009, is full of great shortcuts to different actions, tasks, and reports (as shown below). But, sometimes the things you need regularly are tucked away in the Actions, Related Information, or Reports menus. 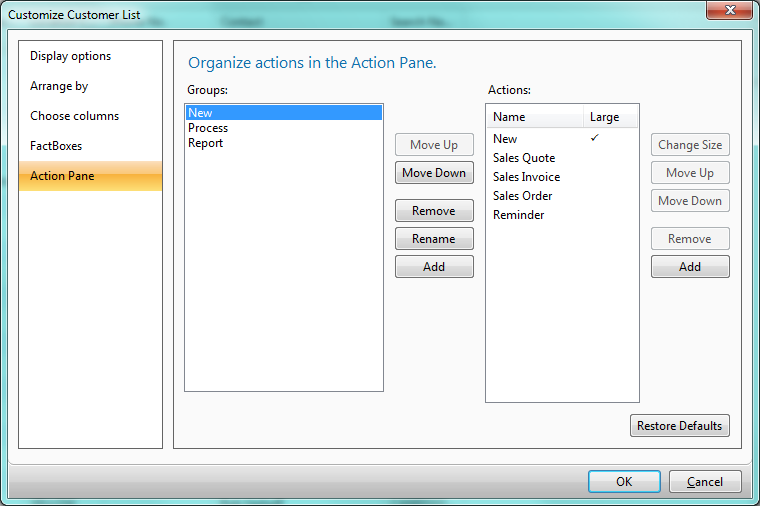 You can add those to the Action Pane easily. The far left list is what part of the Page we’re customizing. The next list is what Groups your buttons will be placed in, with some buttons to control the Groups list to the right. The last list are the Actions in the Group currently selected, along with some buttons to control the Actions list to the right again. The ability to take tasks that are tucked away and bring them front and center to your interface, you can save valuable time. NAV Usage ActionPane, Newsletter, UserCustomization. permalink.